Modern Beauty Girl: 2014 Makeup Inspiration! I know that my last makeup inspiration post wasn't too long ago, but I really wanted to do another one for 2014! I have a few beauty and fashion resolutions that I made for myself and I might do a post on that soon, and I wanted to put a couple of pictures to inspire you guys as well as myself to make some changes in our daily routines! So let's get started! So this first picture is mostly inspiration for me! I still honestly haven't mastered the cat eye look and actually I can't even do a decent winged liner! I really want to try and learn and make an effort to practice it more often because I think that winged liner looks really good on me because it gives me some lift to my asian eyes! This next picture is for everyone! I think that it is easy to get into a little bit of a rut with nail polish! I know that mostly everyone switches up the color, but I think that something that we should all try in 2014 is to try and add nail art! I have gotten my mom to try the "accent nail" trend and she loves it, and I think that accent nails are really great for older women, who can't necessarily pull off bright polka dots or anything like that. This last one is another inspiration for all of us! 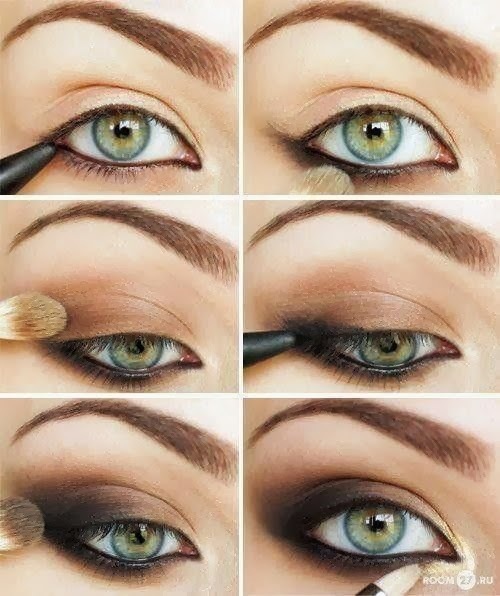 I think that a smokey eye is such a staple! 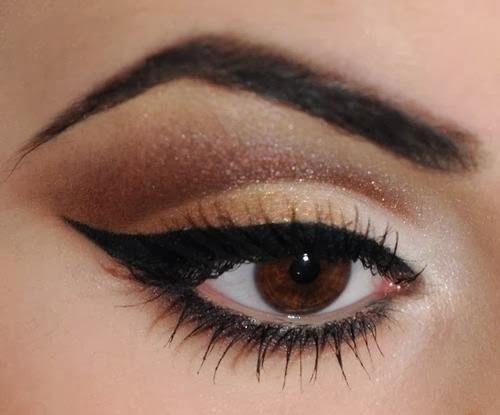 Whether it is brown, black, gray, taupe, or even a pretty color, smokey eyes are popular for a reason and look so incredibly stunning when done right! I want to challenge all of you to try learn a smokey eye, or if you already know how, then wear them more often! So that was my makeup inspiration, I'll be doing a fashion and hair inspiration on this blog in the coming days and on my other blog, I'll be doing fitness and diet inspiration, so check that out if you're interested!